Gardeners may wish to be conversant with the signs and symptoms of common plant diseases. Most, if not all, of these diseases are caused by bacteria, fungi and viruses that are spread from one plant to another. Prevention is the key to warding off these types of problems. Depending on where you live, some of the following may be more common than others. Moist, humid climates, for example, may be more prone to powdery mildew than dry sunny climates. For more information on what may affect your particular garden, you may want to consult with your local County Cooperative Extension agents. They'll be well-versed in the common diseases that affect plants in your local area. There are many other diseases caused by microbes. Sometimes symptoms look like a disease but may actually be caused by insect damage. When in doubt, take a sample of the affected plant such as a leaf of branch to your local garden center or County Cooperative Extension Office for diagnosis and treatment options. Powdery mildew is caused by the spread of fungus spores that infect plants. The affected plants appear to have a white powder clinging to the leaves, and the leaves will eventually die, killing the plant. This fungus can infect many plants ranging from flowers to tomato plants. And unlike other fungal infections, it doesn't necessarily need moist conditions to thrive; it likes warm days and cool nights, and plants in the shade may be prone to it. A home remedy for powdery mildew uses baking soda, water, oil and liquid dishwashing soap and can be found on the ATTRA Sustainable Agriculture website. Black spot is the scourge of rose growers nationwide, but it can also affect other plants such as tomatoes. As the name suggests, brown or black spots appear on leaves; the leaves may turn yellow and fall off. While this fungus doesn't kill the plant outright, repeated bouts of black spot make the leaves fall off. Without the leaves, the plant can't produce enough food, and it eventually weakens the plant and kills it. It's important to remove leaves that show signs of black spot. Chemical sprays are used to treat it, but neem-based products are also effective. Damping off is a fungal disease that affects seeds or seedlings. It's caused by too much water. When starting seeds, try watering seed trays from the bottom; pour the water into a tray underneath the seed starting tray. The soil will soak up the water from underneath and give the tiny seedlings exactly the right amount of water they need to thrive. Rust is a fungus that affects many fruit trees and some flowering plants and shrubs. According to some sources, there are over 5,000 different bacteria that can cause rust, making it hard to identify the exact culprit attacking your garden plants. Rust leaves telltale signs, such as brown spots, like freckles, on the back of plant leaves. Other signs include red, orange or yellow spots or groups of spots on the underside of leaves. These are actually the fungi spores growing in clusters on the plant leaves. Overhead water encourages the development of rust, so try switching to a soaker hose, which waters gently around the base of the plant and keeps leaves dry. Common fungicides containing sulfur generally halt the progress of rust. Wilt, like rust, refers to a group of diseases that cause plants to wilt and die. Fusarium wilt, for example, attacks tomatoes, peppers, and melons. The fungus is sneaky. It lives in the soil, and travels up in water through the plant's vascular system. During the day, the plant appears to wilt. Careful gardeners may water the plant more, believing it's a lack of water that's causing the wilt; this just forces more fungi up into the plant. Eventually the wilt fungi close off the plant's vascular system and kill it. If the plant looks like it's dying from the top down to the bottom, chances are it's got a kind of wilt. This is a tough problem to beat, and the fungi spores can stick around in the soil for many years. If you're container gardening, you should discard the soil and start with sterile pots and soil. If your plants are in a raised bed, you may need to leave it fallow or plant a cover crop for a year or two to give the soil a chance to recover. Fall garden cleanup: Most plant diseases spread through spores. These spores like to hide in fallen leaves, garden debris, and dead plants. A thorough garden clean up every fall ensures that the spores can't overwinter and hide to infect plants again in the spring. Poor watering habits: Plants take up water primarily from their roots. Yet how often do you see a gardener merrily spraying water from the hose onto the crown or top of the plant? All that water is going to waste dripping off the leaves - and worse, it can contribute to the numerous plant diseases spread by fungi. Water the base of the plant, not the leaves. 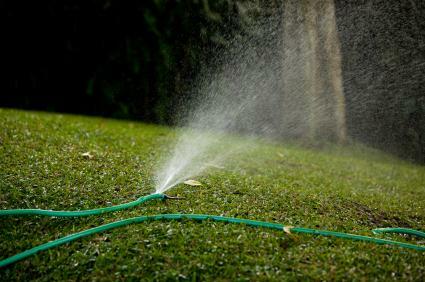 A soaker hose, which sprays a gentle mist of water around the soil level, may be a good choice for gardens prone to some diseases. When all else fails, there's a plethora of organic and conventional remedies to try to save your favorite plants.